Running an efficient conference call is always a smart idea, but it’s even more important when you have international participants. For example, if you’re hosting an international conference call in Poland but have participants located in France, Spain, Jordan, China, Belarus, Czech Republic, Germany, and the Philippines, the cost of the teleconference is billed per minute, per person based on the per minute rates for each country. 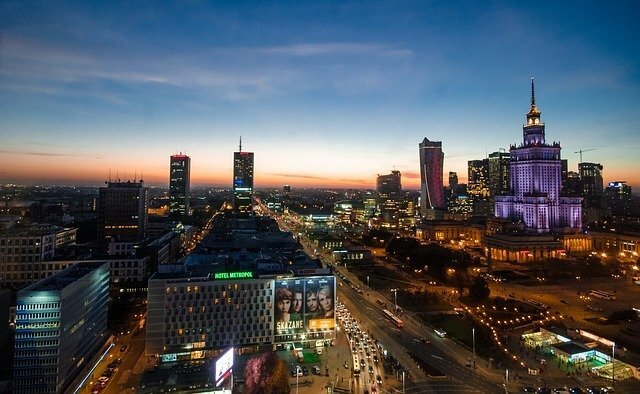 Keeping your Poland global conferences running on time, with minimal wasted time can translate into lower overall teleconferencing costs. Use the tips below to host a more efficient Poland international conference call. Limit the number of participants to those who truly need to be involved. Does your assistant really need to be present during the call or could he benefit from a recording of the call after the fact? Are the people you’ve invited the actual decision makers or will they need to defer to their superiors after the call? The more selective you can be before the call, the more efficient you can make it. Identify your global conference call’s highest cost countries. Though you may be hosting your global conference call in Poland, which has affordable per minute rates, the cost of your Poland conference call is affected by the rates of your participants’ countries. Some countries, such as Jamaica, Zimbabwe, Cuba, and Botswana have much higher rates than others. By examining your costs per country, you may be able to use alternative contact methods, such as moderator dial out, to keep your overall cost low. You may want to be even more selective about who you invite from these countries. One option is to record the conference and distribute the MP3 recording to key people located in countries with higher calling costs. Create and follow a focused agenda. It’s not just about controlling costs, creating an efficient Poland conference call is also about getting things done in a time-efficient manner. No one wants to be stuck on a lengthy conference call that’s unfocused, irrelevant, or poorly organized. Just as you would create an agenda for an in-person conference, you should do the same for a teleconference. Break your agenda down into topics, organize the topics in a manner that makes sense, and assign a time limit for each topic. Organize the call so that some participants can leave at an appropriate time. Think about whether or not all participants should remain on the call for the duration or if they can drop off after a specific time. For example, you may want to spend the first half of the call discussing high level concepts with the entire team and then spend the next half digging into strategy with your management team. If so, release most of the participants at the halfway mark, leaving just a handful in the conference for the remainder. Using our live event viewer is highly recommended in this case as you’ll be able to see who’s still in the conference call. Finally, use a reliable international conference calling service. Spending time repeating yourself or asking others to repeat their questions because of sound quality issues is inefficient. Our pay-as-you-go PSTN fiber optic networks allow for the best quality of service available — and more than 150 network access points are supported. Sign up for a Poland global conferencing service today and start running more efficient international conference calls immediately.